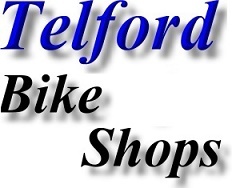 The Telford Cycling web page is provided as a free service for the people of Telford, Shropshire. 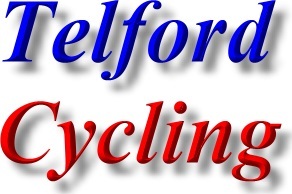 All that we ask in return, is that listed Telford Cycling Teams, Telford Cycling Clubs & Telford Cycling Leagues place a link on their website back to us and hopefully mention us on their league fixtures & other paperwork. Newport (Telford, Shropshire) Cycling Club. Telford, Shropshire BMX Cycling Club. Anyone is welcome to come along and take part in Wrekin Riders club events. However, Wrekin Riders recommend that you try riding around the track a few times before racing. The track is open all the time. You can have a go at actual racing before joining the club, but you will need to get a consent form completed if you are under 16. Better still, bring your parents along. Wrekin Sport Cycling Club are pleased to welcome anyone interested in any type of cycling in Telford. So if you ride a bike for any reason and would like the company of like-minded people, Wrekin Sport Cycling Club would like to hear from you. Address; Cycle races held at various locations within Wrekin (Telford) area. 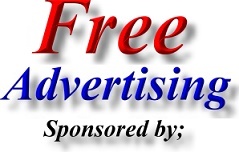 Please refer to website (click on the Wrekin Sport Cycling Club link - above) for further details. Address; British Cycling, Stuart Street, Manchester. M11 4DQ. British Cycling is the national governing body for cycle sport in the UK. South Staffordshire and Shropshire Cycling League. Address; 33 Langland Drive, Sedgley, Dudley. DY3 3TH. Bicycle Shop in Jackfield, Telford. The Bicycle Hub (Bicycle shop) facilities include a bicycle showroom, a bicycle repair centre - bicycle service centre, a wheel-building shop, stocks of parts and accessories, an advice centre, a BikeFit service, cycle training and courses, and a calendar of events and social rides. The Bicycle Hub is also home to The Tandem Bicycle Shop and Tandem Bicycle Experience. Address; Bicycle Hub, Church Road, Jackfield, Telford, Shropshire. TF8 7LJ. Bicycle Shop in Trench, Telford. Address; BicycleBuzz - Cycle Life Bicycle Shop, 120 Trench Road, Trench, Telford, Shropshire. TF2 7DP. Formally Les Edwards Cycles (established 32 years). BicycleBuzz (CycleLife Telford) is your local Telford Bicycle Shop - Cycle Centre. Services include the Sales of the full range of Raleigh and Diamondback bikes including Mountain, Road, Hybrid , Urban and Commuter, Folding, Electric, BMX and Children’s. Also Cycle2Work, Rentals, Courtesy Bikes, Boxed Bike Assembly & Event attendance. BicycleBuzz (CycleLife Telford) also carry out servicing and repairs on all makes and types of bikes. BicycleBuzz (CycleLife Telford) can even come to you in their mobile workshop - home, work or events. Telford, Shropshire based mobile bicycle repair based in Broseley. Bicycle Repair Services (mobile bicycle workshop) is a mobile bicycle mechanic - bicycle technician based in Broseley, Telford, Shropshire. Cytech 2 qualified (industry standard for bicycle mechanics/technicians), Bicycle Repair Services assures you of a professional mobile bicycle workshop experience with first class personal service, good honest mobile bicycle advice and consistently top quality mobile bike repairs. Bicycle Repair Services offers a bespoke mobile bicycle wheel building service too. Bicycle repairs are carried out in accordance with current bicycle British Standards legislation. Free mobile bicycle workshop call out charge for local area post codes beginning: TF, WV3 to WV9, WV15, WV16, SY1 to SY9, ST16, ST19 to ST21, DY3, DY6, DY7, DY11, DY12, DY14. Bicycle Repair Services best & lowest bike repair price starts from just £10 only, (please visit www.bicyclerepairservices.co.uk for full details). If you are looking for information on cycling proficiency or cycle safety training for children, this is provided by the Shropshire Council Road Safety team. Tandem Bicycle specialists in Jackfield, Telford. The experience of tandem bicycle riding is something special for everyone, but the reasons for riding are always the same. For some it's the pure uniqueness of riding together, for others it’s the exhilaration, but for all it's the pure enjoyment it creates. Riding tandems keeps us fit and young at heart and nurtures a fun attitude to life together. Address; Fusion Tandem Bicycles, Church Road, Jackfield, Telford, Shropshire. TF8 7LJ. Cycle Shop - Bicycle Shop in Bridgnorth. Address; Pauls Pedal Cycle Shop, 58 Whitburn Street, Bridgnorth, Shropshire. WV16 4QP. Bicycle Shop in Wellington, Telford. Address; Perry`s Cycles, 33 Tan Bank, Wellington, Telford, Shropshire.TF1 1HJ.